THIS CANOPY BED IDEA WORKS! One of my favorite sites to gather inspiration is Bella Muse, an online print boutique. I simply enjoy the illustrations and colors offered in the note cards and stationary. 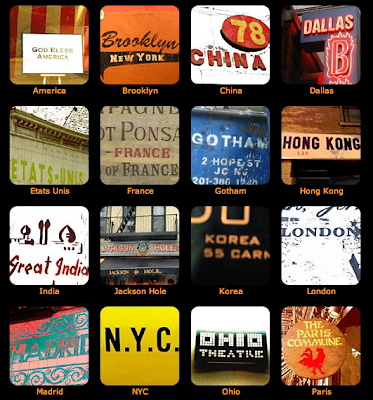 I especially love the Urban Alphabet tiles which are described as "a photographic journey that discovers the world within one city, Manhattan". 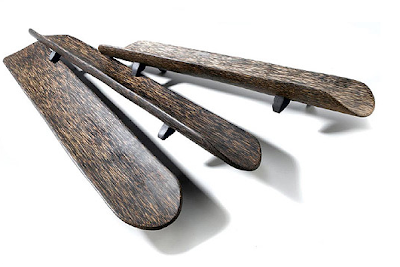 Creative, cool and a great art focal point for your small space. 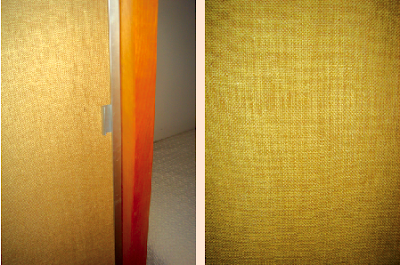 One of the design ideas I loved during the Neutra VDL House tour was the burlap finish on each of the sliding closet doors. 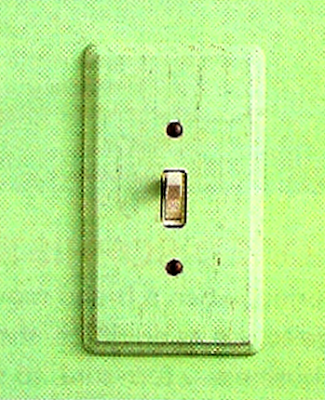 This is a great D.I.Y. 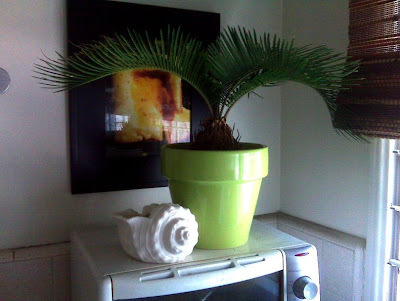 to introduce texture into your small space. 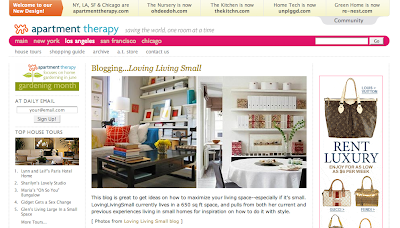 Domino.com often features small space tricks and design ideas on their resourceful site. 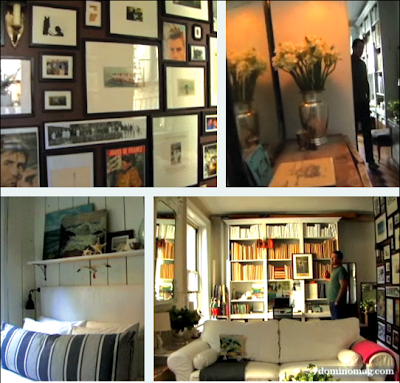 I'm loving their current video of house tour of Matt Albini who dwells in Manhattan. Matt's apartment evokes vertical depth due to his use of wall space. He goes floor-to-ceiling for his book shelf, art gallery and wood paneled bedroom. Small spaces really benefit from this. 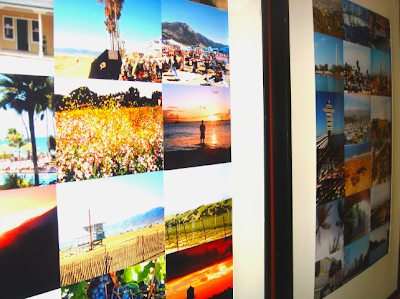 Check out more ways to use your walls here. 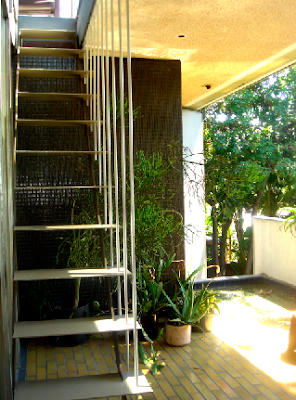 Last weekend I met up with some lovely LA Design Bloggers in Silverlake, CA to take the Richard Neutra VDL House tour. Neutra was the innovator of geometric yet airy structures that represented a West Coast variation on the midcentury modern residence. 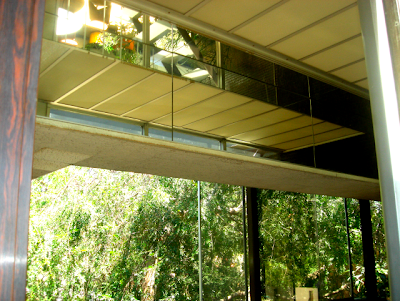 He maintained a fluid and harmonious footprint by using various elements - mirrors, sliding doors, glass, bi-leveled ceilings - throughout the home. 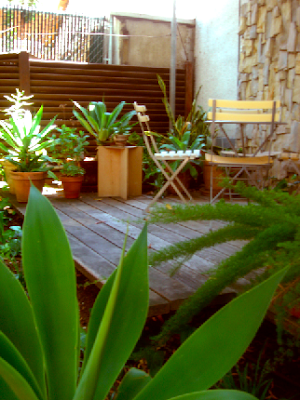 I also love the small outdoor space in the Neutra courtyard - simple, rustic and functional. 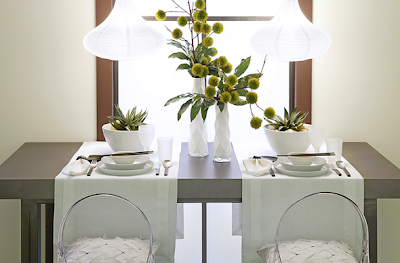 Pioneer designers are a great source of inspiration for your own small space. A new favorite shop is Fred Segal Green. 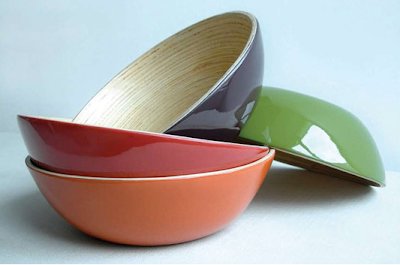 Full of eco-friendly house wares, this little boutique within the Fred Segal building, is a great place to treat your small space to chic yet simple, sustainable design. 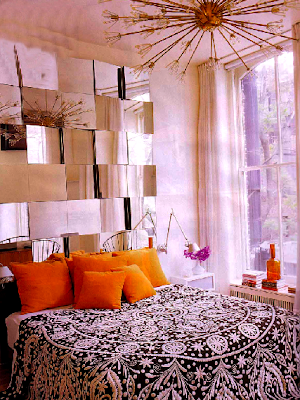 I've already done a few posts about headboards here and here but I had to include this neat one - mirrors used in a dimensional pattern. 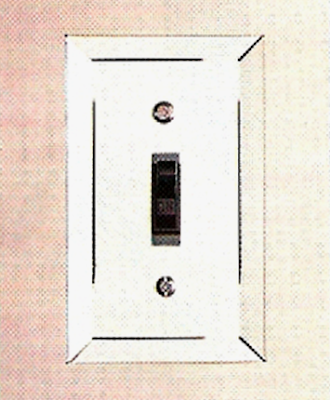 This look allows your small space to achieve vertical depth and spacial depth all-in-one. Plus what a super cool visual display in you bedroom!?! I'm also loving the pops of orange and magenta accents. (picture source unknown - part of my Inspiration Notebook). 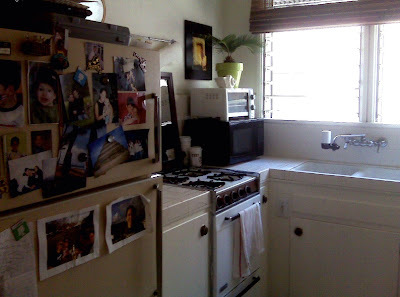 I've been asked by a few of you sweet readers to see my little kitchen. Here's a few shots of it...pretty simple, being the rental that it is. While we have created a home office on one side of the kitchen, we haven't done too much to this side. We do love our large window and have added a neat bamboo shade. 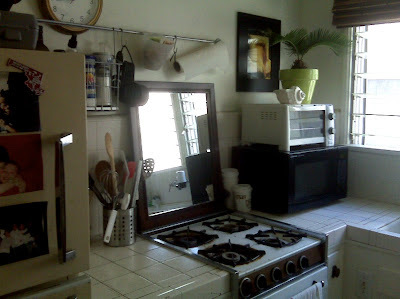 We also placed a mirror by our stove that picks up the light from the window and really seems to open up the smaller space. 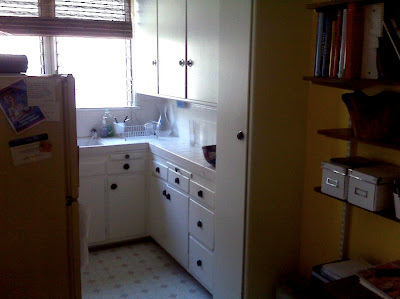 We also dig the all white cabinets - simple and clean. I had such a busy work day and had no time to check in on one of my favorite daily reads, Apartment Therapy. 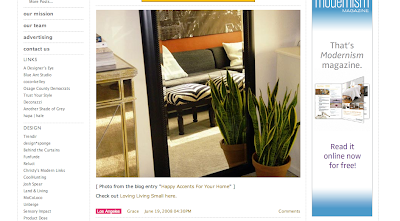 When I finally had a moment of downtime, I clicked on to AT and to my surprise, there was a nice post about LOVING / LIVING / SMALL!!! 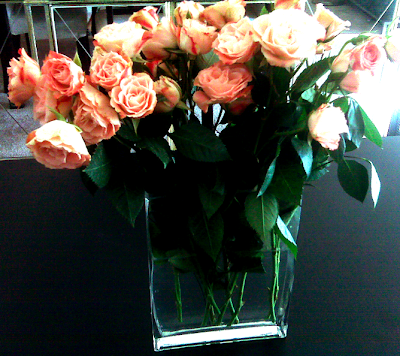 Thank you to AT:LA and thank you, Grace!! Super sweet and thoughtful to include LLS in your community!! Love it!! 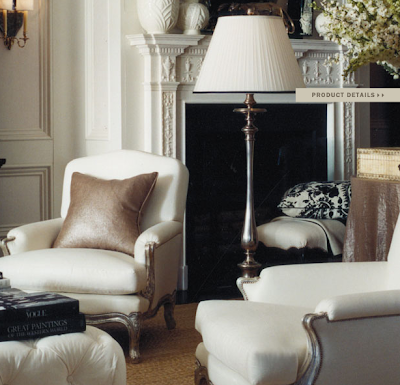 Another neat color combination is black and white (with cream accents). 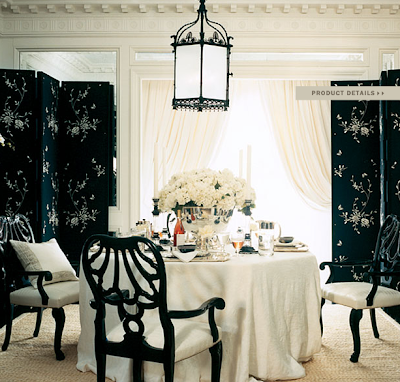 Pure contrast - this look is striking yet creates harmony when used throughout a space. 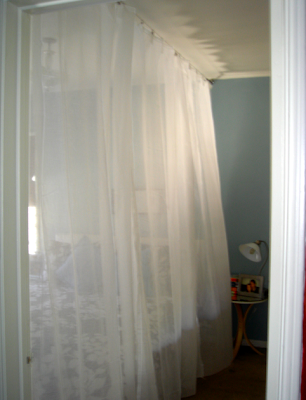 Love this idea for a small space since your eye can see the whole picture almost at once. 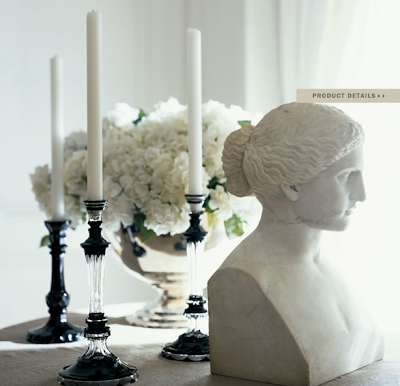 Check out the Ralph Lauren Mayfair collection. Elegant, classic with a slight hip twist. 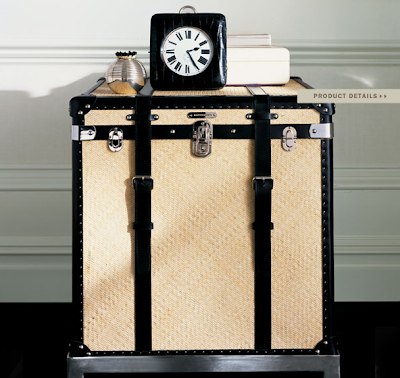 (love the use of the trunk too). 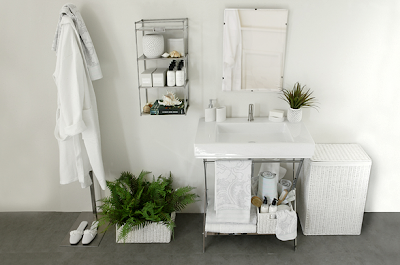 Here are a few small space examples of using a white color palette in the bathroom, bedroom, dining room and salon. 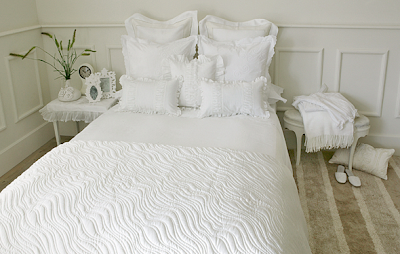 (via Zara Home) Soft and clean, using the white palette throughout a space creates dimensions of depth. 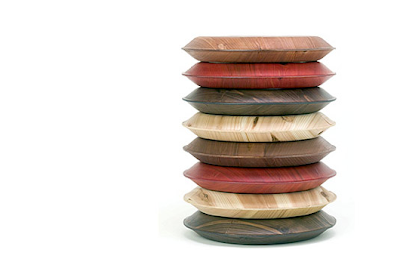 Plus, this palette allows for pops of color in accents. I love the use of green plants in the spaces! 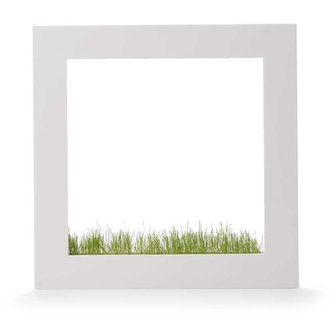 This neat hanging grass frame (bottom pic) would be the perfect addition to any of these rooms. 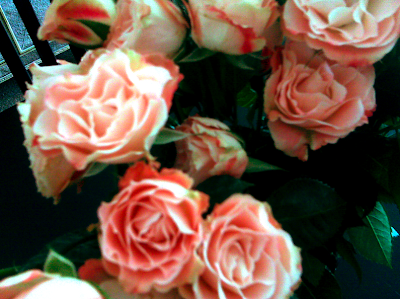 These pretty spray roses we got over the weekend made me smile this morning! 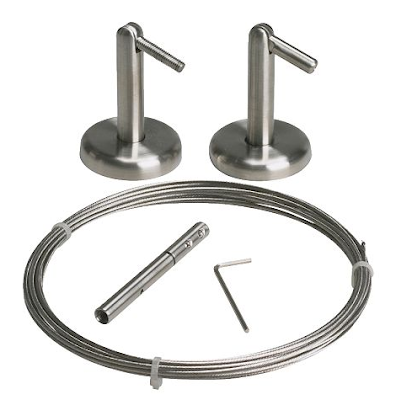 A simple and affordable way to enhance your small space! 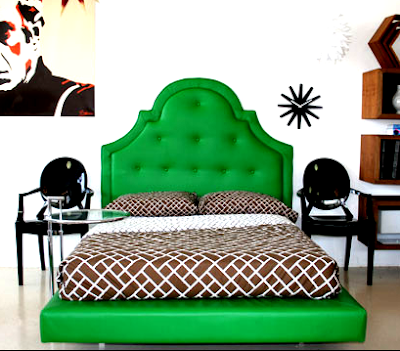 I love Room Service's tagline..."home furnishings for your soul". Ain't that the truth!?! 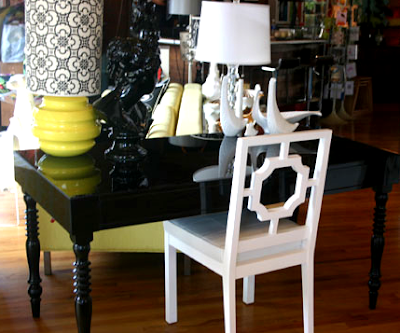 Full of modern furnishings for any space, this fave home store is colorful and comfortable. 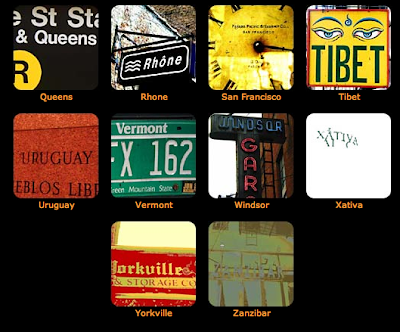 Check out some of their pieces above. I love the mix of solid colors and patterns in their displays - what great inspiration for your own small space! I had mentioned a few posts ago that I had been wanting to update my b/w art gallery. Well, I finally did over the weekend. I decided to go all color on this one and am loving it! 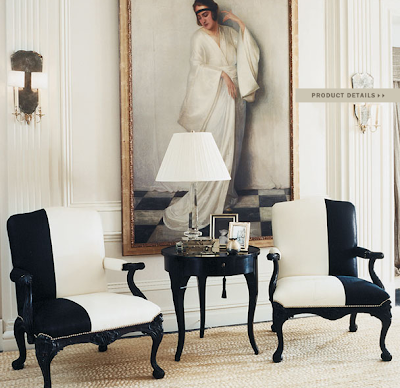 Using personal pictures in your home is a meaningful way to create art. Now every time I walk by my art gallery, it will remind of some amazing memories. Since our bathroom is in our bedroom, we wanted to create a "hallway" for when we have guests over yet still have the flexibility and ease of "no hallway" when it's just the two of us. 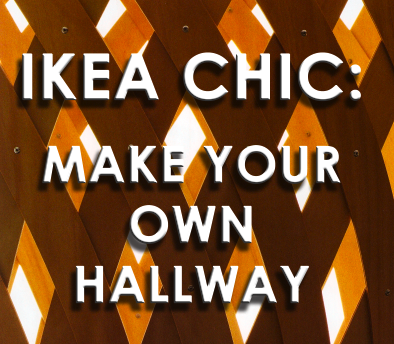 A little IKEA trip to pick up an affordable wire & hook set and curtains plus my boyfriend's drill skills and - voila - we have our hallway! 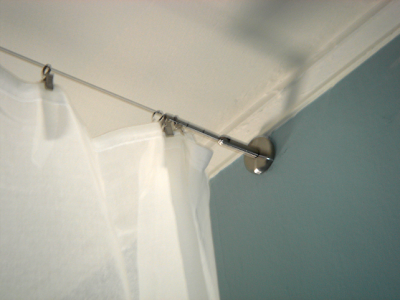 And if we want, we can take all of the curtains completely down since they are simply clipped to the wire that is also barely noticeable. Love that! 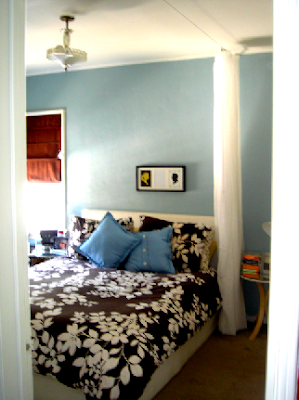 Jules from IKEA HACKER was so sweet to include my IKEA bedroom table makeover on her awesome site. 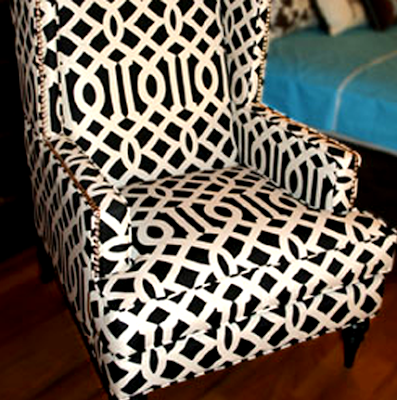 This was such a quick & simple project and one of LOVING / LIVING / SMALL's most popular posts to date! 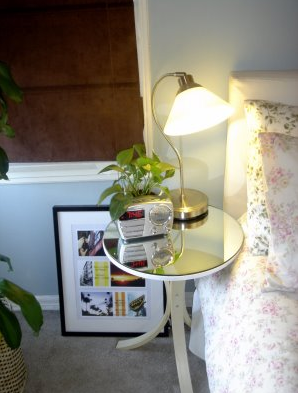 Although I did just check IKEA's website and it seems that this little table no longer is listed. Hmmm. 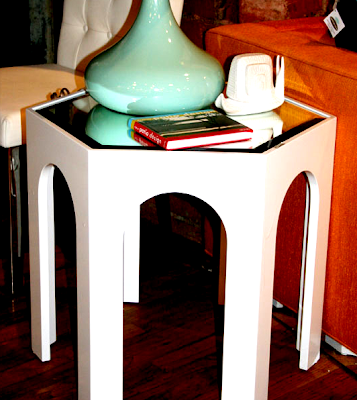 Well there are a bunch of other great inexpensive tables to check out here. 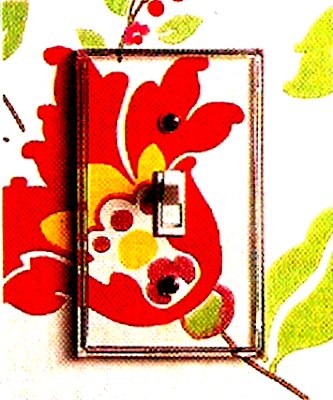 Even down to the small details, creating a look for your switch plates will add style to your small space. 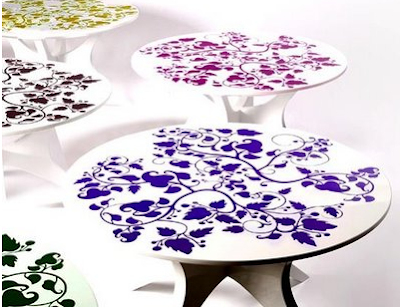 Here are a few options - camouflage, mirrored or painted via Domino magazine.